Transcend The Way You Think, Transform The Way You Live. 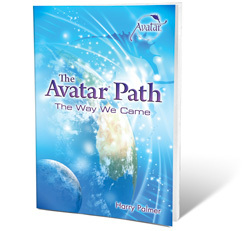 The Avatar Path: The Way We Came is the eighth book from Harry Palmer, author of the Avatar materials. More than a collection of stories and perspectives, this is a complex process of self-evolvement that will transform the way you think. Our Guarantee: Reading this book will change your life. Like most journeys, self-evolvement has a starting point. That starting point is the recognition that some (or even most) of your guiding values and beliefs are based on imitation of parents, teachers, peers, satisfied customers, celebrities, authorities, the successful, or even the world’s failures. The life you are living is a copy of someone else’s. It is a patchwork quilt of borrowings and unconscious influences. When you recognize this, really see it, something independent of any mental embellishment awakens—a new self. You can call this new self, “I am.” This ineffable spirit—authentic YOU—wakes up with a desire to explore its potential. The articles and stories in the pages that follow are intended to illuminate archetypes in consciousness that will assist your growth. As you read, several things will happen: the expectations and opinions of others will be recognized and re-considered; personal values will be re-examined; and patterns of behaviors will change. And most importantly, YOU, that ineffable explorer, will begin awakening as a Source Being. This is a heroic journey. The only provisions you need are courage, honesty, and perseverance. If people or circumstances have conspired to convince you that you lack these supplies, caches have been left along the way for you to find. Right up front, I’ll tell you a secret. As secrets go, this one is in the top ten. If it doesn’t ring true for you right now, that’s okay. Part of this journey is recovering the viewpoint that recognizes the truth of this powerful secret. The secret is nothing can harm a Source Being. This isn’t an easy truth to accept. The universe’s position is that it can roll over you, grind your flesh up, or incinerate your consciousness any time it pleases. It can visit pain and suffering, or pleasure and happiness at its whim. It can snuff out your life unexpectedly. At any moment it can humble you into insignificance by its awesome magnificence. And always it demands that you follow certain of its rules or perish. But what perishes? You are not a meat body. You are not thoughts. No thought or word can describe you. Thoughts and words are concepts and you are not a concept. You are not anything that can be named. What are you? The universe can be broadly described in terms of matter, energy, space, and time, but you are not any of these. All definitions and descriptions are part of the universe. You are part of... well that’s the question, isn’t it? I just had such an amazing morning this morning sharing the links to the e-book and bookstore with friends and family. I loved the book. It explains our complexity with a simple clarity that I find refreshing. It is helping me to give a lovely perspective on that "What is Avatar?" question. It's a great book that will broaden the way we look at and experience life and the world and transform the way we think. It's about connecting the dots in our own unique universe. WOW! Bulk pricing is available for this book. Type the quantity you want in the shopping cart, click Update and the discounts below will automatically be applied.